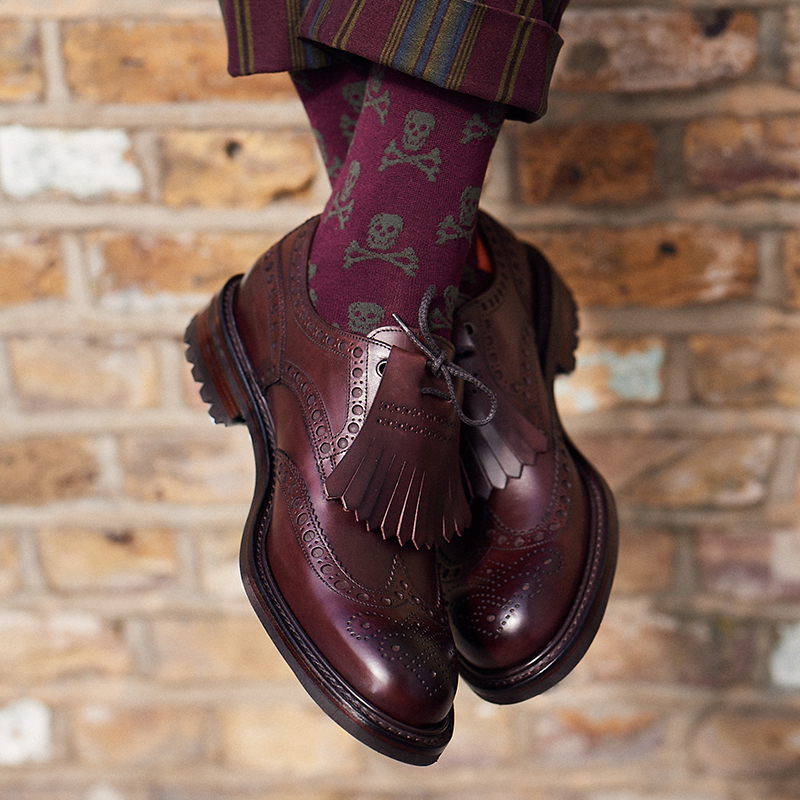 Well made English footwear has been a part of New & Lingwood’s story since time immemorial. Over the course of its 150 year history, the house has incorporated two shoemakers no less, and worked with some of the best shoemaking workshops in the land. The first shoemaker to join ranks with New & Lingwood was J. Gane & Co, which was founded just up the road on Eton high street in 1854. Mr Gane’s shoes were exceptional and he racked-up a small fortune making shoes for Eton’s students and academics, which made a partnership between the two shops a natural move in the early 1930s. 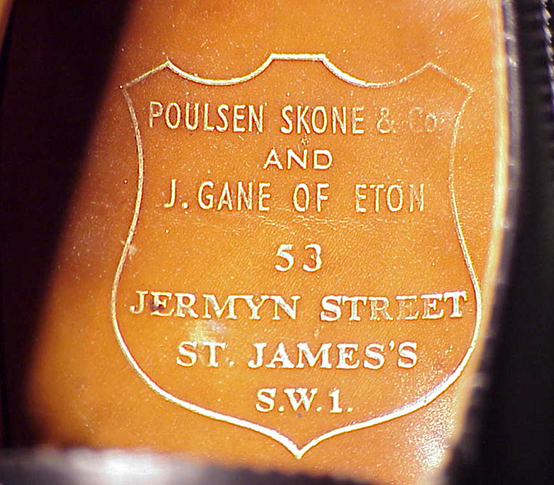 Then there’s Poulsen, Skone & Co., which was founded in St James’s in 1890 and incorporated by New & Lingwood in the early 1970s. 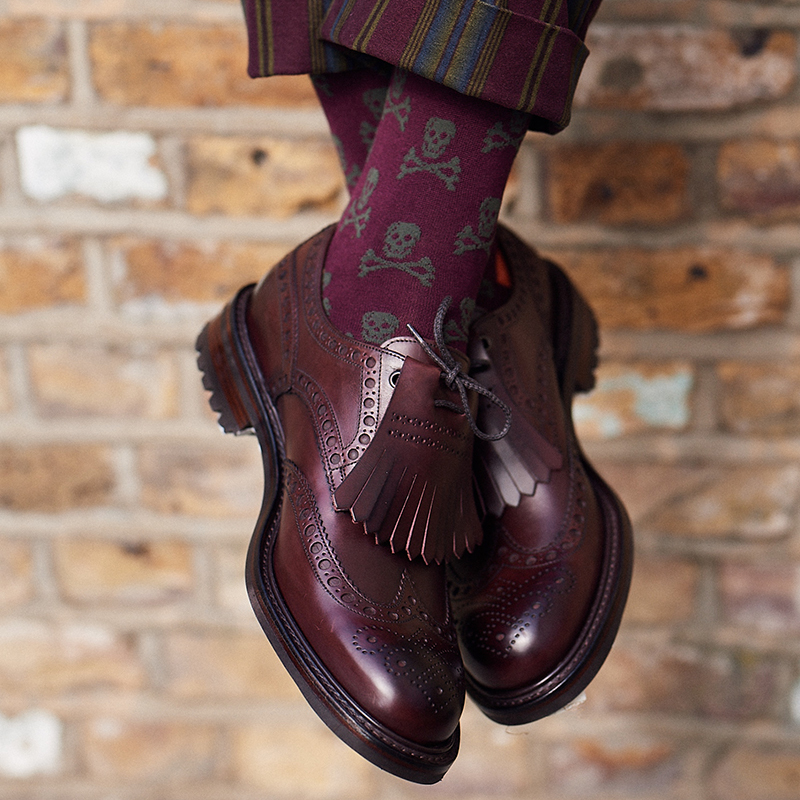 It’s a well-known sartorial legend among men’s style obsessives that the late George Cleverley consulted for New & Lingwood and designed the Poulsen & Skone range until his death in the early 90s, lending the house’s shoes no small amount of cachet. Combined, these two shoemakers add in excess of 200 years of shoemaking heritage to the house. 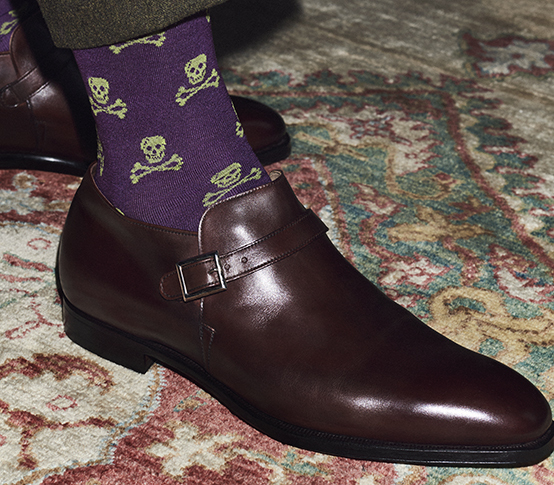 Today, New & Lingwood’s shoe collection is uncompromising. Shoes are either ‘handgrade’ or bench-made in Northampton, England’s historic shoemaking hub. The handgrade collection is particularly fine, made in the finest continental calf’s leather on form-fitting lasts with closed channels and slim waists. 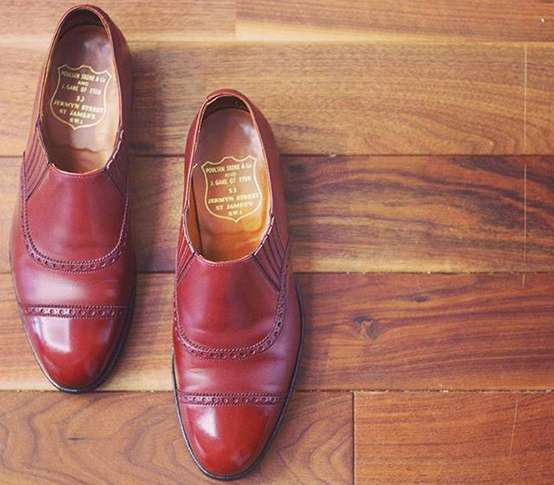 Handgrade shoes are hand-burnished and use only the best antique or full-grain calf and unsplit suede. 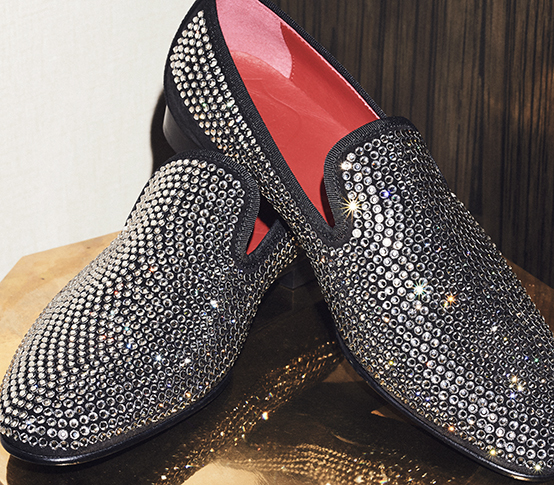 They’re every bit the investment shoe and very well priced. Benchgrade shoes are likewise made in Northampton from superior quality antique leathers on contemporary, form-fitting lasts. 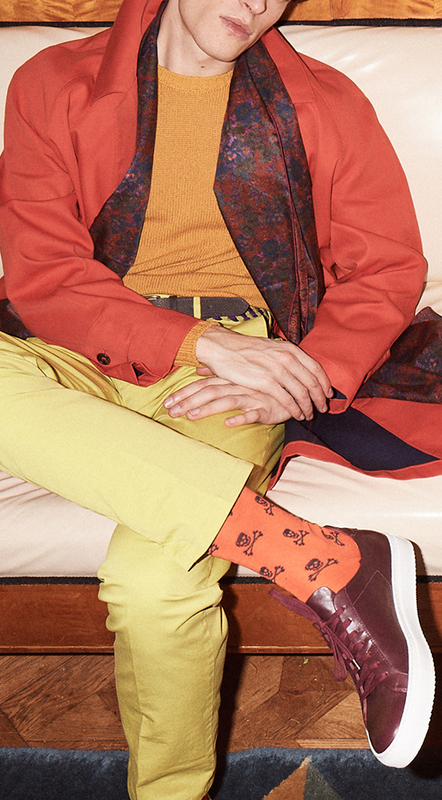 These designs offer classic, simple wardrobe staples, calf and suede penny or tassel loafers, smart half-brogues and timeless polished Oxfords, well suited to every day wear for either business or pleasure. 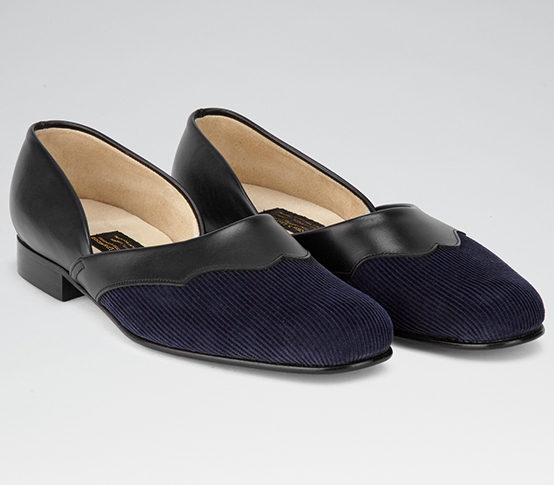 As with New & Lingwood’s approach to menswear, all the shoes in the collection are inspired by the house’s shoemaking archive, the quirky butterfly loafers that New & Lingwood still offer today are the direct descendent of the butterfly loafers that Poulsen & Skone offered in the 1970s. Even so, its history of shoemaking goes back still further, the house gave birth to the ‘Eton slipper’ at some point before the turn of the 20th century – though precisely when isn’t recorded. 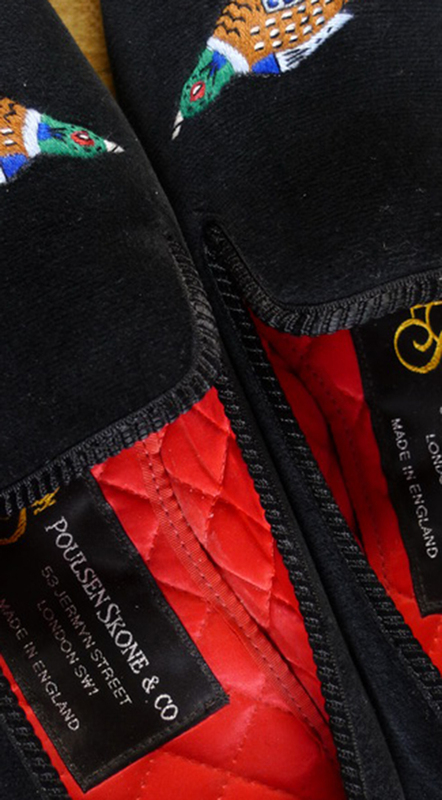 Today, the slippers are still made to their original specifications by an artisan English slipper-maker. The design has become something of a cult classic, which rather amusingly came under fire in Charles Moore’s notes in The Spectator in 2010. ‘For my approaching birthday, I wanted a type of slipper I have worn ever since I was at school. 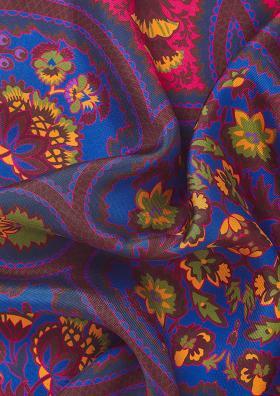 It is leather, but with corduroy – in Burgundy, blue, green or black – held in place by a rather elegant leather edging […] I searched high and low, and then spotted a friend wearing some round the house. 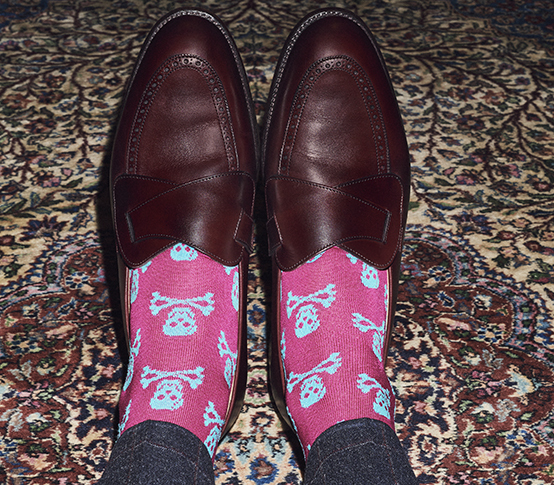 “I shouldn’t really be wearing them,” he said, “I’m only an Amplefordian.” He explained that this slipper is really called the ‘Eton Slipper’ and that you can get from New & Lingwood, but only if you order it personally, under plain cover.’ Quite the story. 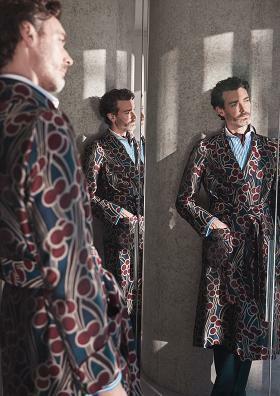 Nowadays, they’re a beloved mainstay of New & Lingwood’s collection, along with conventional quilted house slippers, in rich velvets or occasionally in the same English-woven silk jacquard that it make it’s dressing gowns in – if you see some, snap them up, they’re seldom around for long. Some of the collection is made on the continent too, and lighter, easier casual footwear comes care of a couple of workshops in Italy. Driving shoes and hand-stitched suede moccasins come in fun colours, as well as some sophisticated suede sneakers, a great relaxed option for weekend wear, or even to pair with striped college blazers and jeans for a sporty look. Like its tailoring and casual clothes, an emphasis on practicality and a modern sensibility filters through New & Lingwood’s footwear. Whether you’re after patents for a formal dinner, reliable, well-made Oxfords for the office, statement loafers or some robust pebble-grain Derbies for weekend walks, the house is there for your every well-shoed need.